The Department of Information Technology, Government of India, along with the National Internet Exchange of India (NIXI) warmly welcomes participants to New Delhi, India for ICANN's 31st International Public Meeting, taking place between 10 and 15 February 2008. Everything you need to know: What it is, Why it's Important, and Who Should Attend. 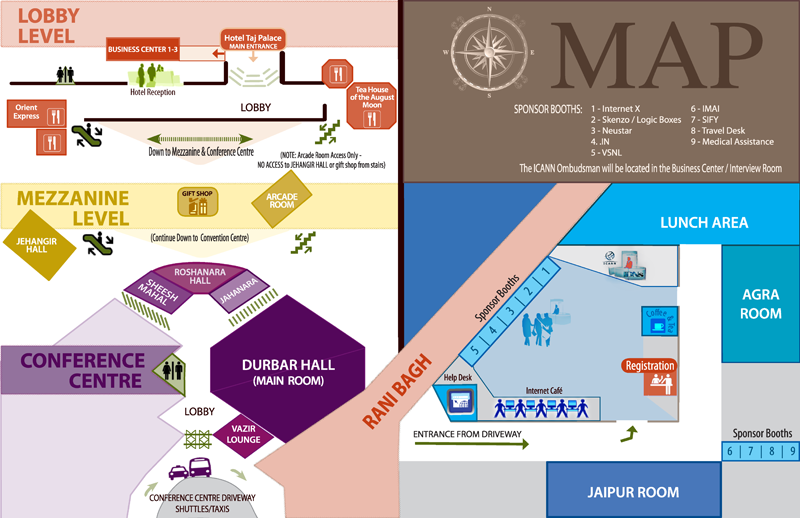 Information on the Taj Palace and nearby hotels. Find your way around the venue. General information and assistance. Hotel transportation details.